Chining bar, can be attached at any height on wall bars. For pull ups and stretching exercises. 74 cm wide, strong metal 25 x 25 mm construction with beech wood bar. Diameter of the bar is 36 mm,made from beechwood. 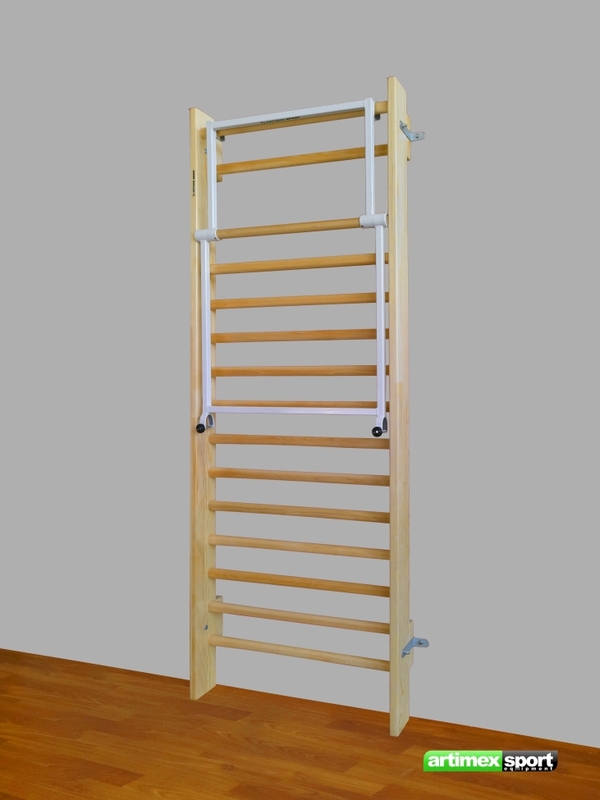 The pull-up bar folds away for storage and can be hung in more positions on the Wall bars. Will support up to 125 kg. Freight dimensions: 80 x 80 x 10 cm. FREE UK SHIPPING. For any ofher country in the world please send us a request. Special offers for schools, fitness studios, clinics.Ask for quote.